Trainee Recruitment Consultants - £23,000 p.a. Join our growing family in London and Tunbridge Wells! After successful completion of a 15-month training plan, you'll receive a Certificate in Recruitment Practice Level 3. 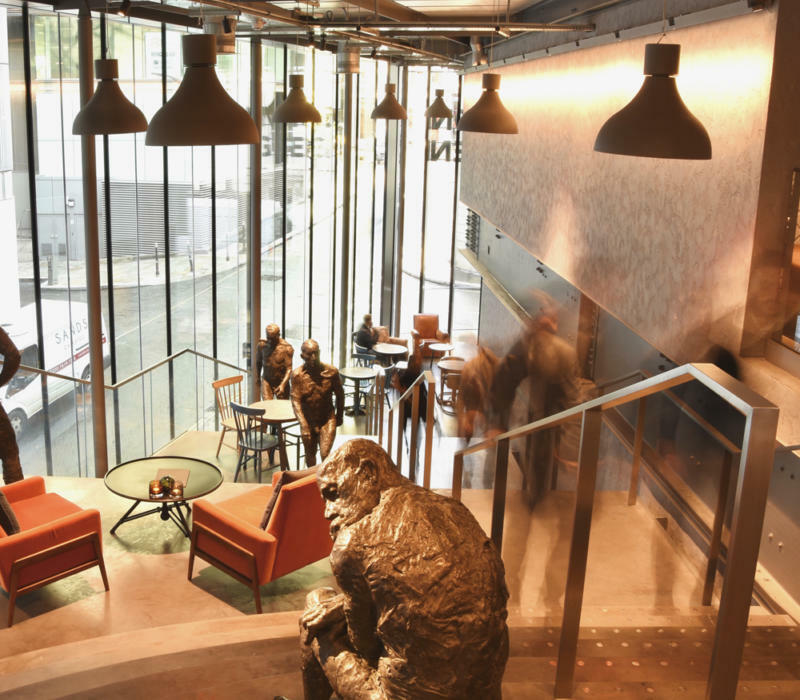 Located next to Cannon Street station and few minutes from Bank, the conveniently located Cannon Green office premises only opened in 2017 but it’s now home to more than 100 InterQuest Group team members from each of our five brands; InterQuest, ECOM, Rees Draper Wright and IQ Talent Solutions. You’ll be working in a beautifully modern space with both a vibrant an energetic feel. Facilities are great including; a new Drake and Morgan bar, The Listing, a fully kitted out Gymbox and cycle park with showers. You’ll need to have the right to work in the UK and have a minimum of Maths and English GCSE level C and above. You’ll need to have previous experience working within a customer focused role proving your ability to build and nurture good relationships, which will be needed to support your career within recruitment. A European language skill will be an advantage but not necessary.